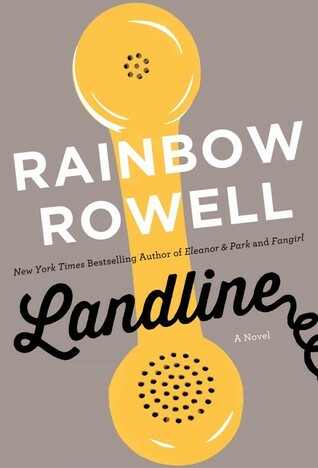 I’ll be honest I didn’t read Landline by Rainbow Rowell. I listened to this in the car. I’m sure people thought I was crazy, as I would randomly crack up laughing as I drove by them but Landline was just THAT funny and I couldn’t help it. Landline was also so amazingly wonderful that I found myself taking the long way home, which I think is the equivalent of saying just 5 more minutes at 2 am. When Georgie McCool tells her husband she can’t spare the time away from work to visit his family at Christmas she never expects him to pack up the kids and go without her. But that is exactly what her husband Neal does. Left alone, Georgie starts to examine her life and marriage. Would she be better off if they never married? Would Neal? Georgie discovers that the landline in her childhood bedroom can call the past. At first she thinks she is going crazy but in the end accepts that it is a magic ‘bleeping’ phone. In the hands of a lesser writer I don’t think this explanation would work but Rowell makes it work. It’s a magic ‘bleeping’ phone and you just accept it. And does Georgie use it to fix her marriage before it starts? This didn’t sound like something I would necessarily pick up on my own, but I will read / listen to anything Rainbow Rowell writes, regardless of topic or genre. The list of authors I will do that for is not very large. I am so incredibly HAPPY that I did listen to this. I will probably take it with me on my next road trip to listen to it again because it was just THAT freaken awesome. This entry was posted in Adult Fiction, Funny and tagged Adult Fiction, Funny Book, Landline, Rainbow Rowell. Bookmark the permalink.